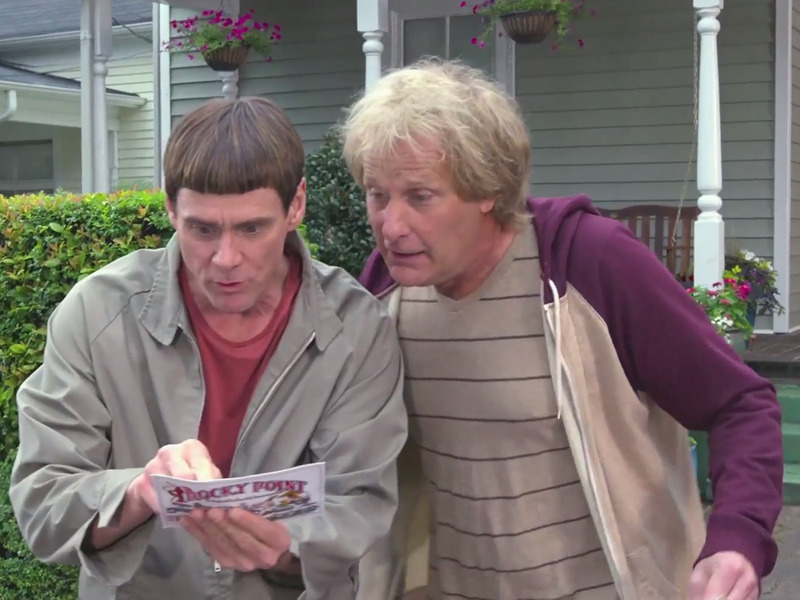 A sequel to the Farrelly Bros.’s 1994 hit “Dumb and Dumber” hits theatres this weekend. 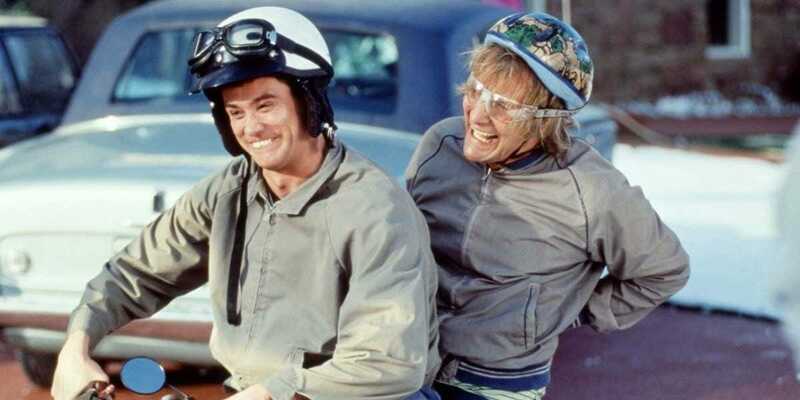 Jeff Daniels and Jim Carrey will reprise their roles as Harry and Lloyd 20 years later in “Dumb and Dumber To.” While both are expected to be receiving hefty paychecks for the followup, the original movie was a different story. For the first “Dumb” film, Daniels was only paid around $US50,000 — far less than his co-star Carrey, who received a $US7 million payday. In an interview with The Hollywood Reporter, writer-directors Bobby and Peter Farrelly revealed how the studio, New Line, initially didn’t even want Daniels in the role. The comedy duo loved him in 1986’s action comedy “Something Wild,” and they fought for him after seeing his chemistry during script readings with Carrey. Today, Daniels receives $US150,000 per episode for HBO’s “The Newsroom,” now in its final season, according to TV Guide. THR reports Carrey was originally offered $US350,000 for the role, but after “Ace Ventura: Pet Detective” took off at the box office, that figure eventually snowballed into a $US7 million payday. “Ace Ventura,” released in Feb. 1994, made $US12.1 million opening weekend and $US107 million worldwide by the end of its theatrical run. 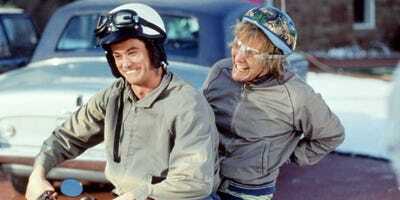 It paid off as “Dumb and Dumber,” released Dec. 1994 opened bigger than “Ace Ventura,” scoring $US16 million upon debut. The movie held the number one spot at the box office for four weeks and went on to make over $US257 million worldwide on an estimated $US17 million budget. “Dumb and Dumber To,” out Friday, cost a reported $US35 million to make according to Deadline. Early estimates from Boxoffice.com project the film to break even opening weekend. The number may be a bit high considering Carrey’s attempt big push to return to theatres in the past year didn’t go over so well. Warner Bros.’s magician film, “The Incredible Burt Wonderstone,” also starring Steve Carell, bombed to $US27.4 million. The actor hasn’t commanded a film with a $US30 million opening since 2009 “A Christmas Carol.” Carrey’s recent hosting gig on “Saturday Night Live” boosted ratings for the comedy variety recently, but he came on a week after the show had its worst ratings ever. A 2003 prequel to the series, “Dumb and Dumberer,” which didn’t involve the Farrelly brothers or Carrey and Daniels, made $US39.3 million worldwide. You can read the full Hollywood Reporter interview with the Farrelly brothers here.